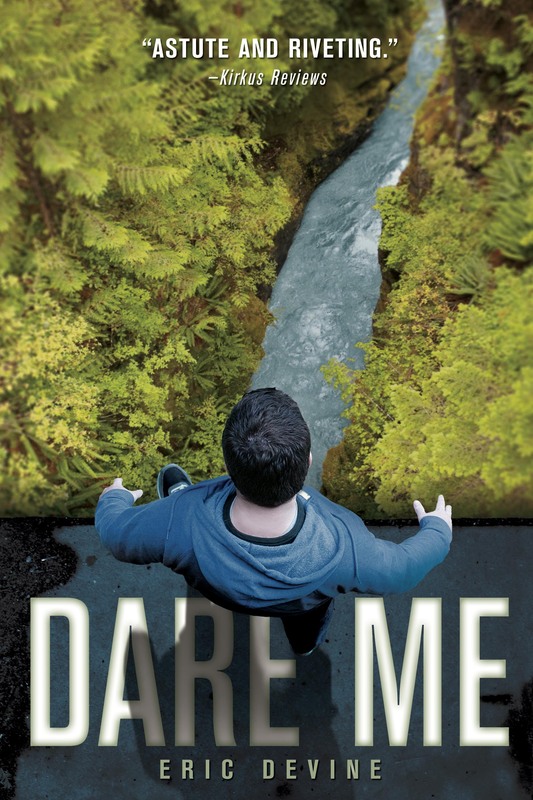 Fully attuned to the adrenaline-fueled appeal of dares, Devine deftly conveys the dire consequences that can ensue once the first step is taken. Ben, a perfectly normal high school senior, and his buddies Ricky and John pull an amazing stunt, which they post anonymously on YouTube, hoping for “weblebrity.” What comes their way is a contract promising them money if they continue to do ever-more-dangerous dares. When not filming dares, narrator Ben works as a pizza-delivery guy and longs for popular co-worker Alexia, who’s attached to a bad boy. His reflections on physics, English class and math become more penetrating as the ante ups with each completed dare. Adding in cameraman Trevor changes the equation only a little. Trev is a nerd and a target for bullies, but he’s also exceptionally smart and a quick thinker. As the stunts continue… (Read the rest here).